The idea behind Ara is that you'll add the modules you want to the device based on your needs. Maybe you want a ton of storage or a really nice camera. Maybe all that is secondary to having a huge battery. One of the questions about this approach was, how could Android support that? Eremenko explained on stage at Linaro Connect USA recently that Ara will run on a modified version of Android L to enable modular hardware. It will even permit the user to hot-swap modules (except CPU and display) while the phone is running. That's crazy, but there may be more restrictions than he's letting on. RAM probably couldn't be swapped all at once, and the main storage can't be detached while in operation either. It doesn't really count as "on" if you do either of those. Google is working with Linaro (an open source engineering firm) to design this version of Android. 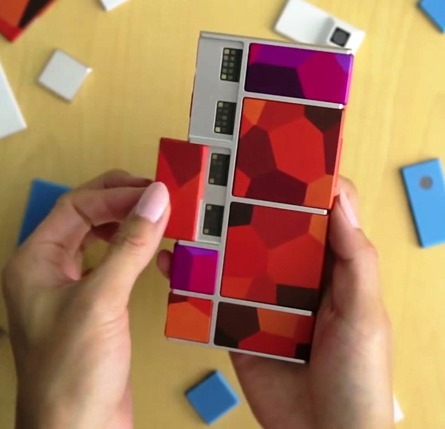 Modules for Project Ara phones will be sold in a new online store similar to the Play Store, allowing you to build the phone you want. A working version of Ara is supposed to be demoed at the second dev conference in December with a consumer launch possibly in early 2015.